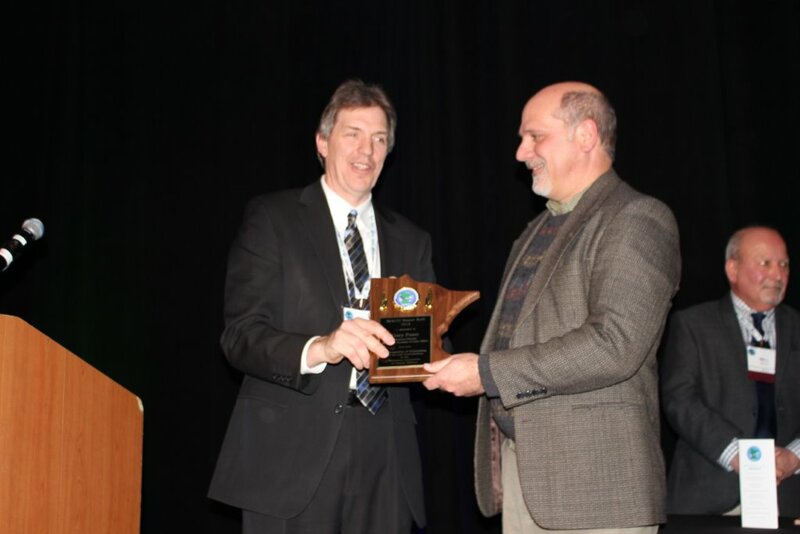 BLOOMINGTON – The Minnesota Association of County Officers (MACO) named Gary Poser, retired Director of Elections for the Secretary of State office, to its Honor Roll at the Annual MACO Conference held February 11-15, 2019 at the Doubletree Hotel in Bloomington, Minn. The Honor Roll is the highest honor awarded each year by the MACO organization. The award is presented by the president of MACO to an individual or individuals in recognition of outstanding service and contributions to the Minnesota Association of County Officers. The Honor Roll has been given annually since 1996. Poser was recognized for his many years of dedication to the election process in Minnesota. The Secretary of State office works closely with Auditors in each of Minnesota’s counties as the primary election officials at the county level. © 2019 Minnesota Association of County Officers (MACO).